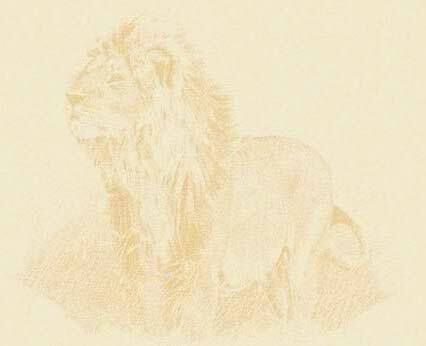 The Dutch painter Rembrandt van Rijn created his 'Reclining Lion' by pen and paint brush in ca. 1650. The work is part now of the collection of the Louvre in Paris. It was found in one of his many 'Kunst Boecken' (Art Books) full of drawings and studies. He made the drawings for the case that he needed animals in his paintings. 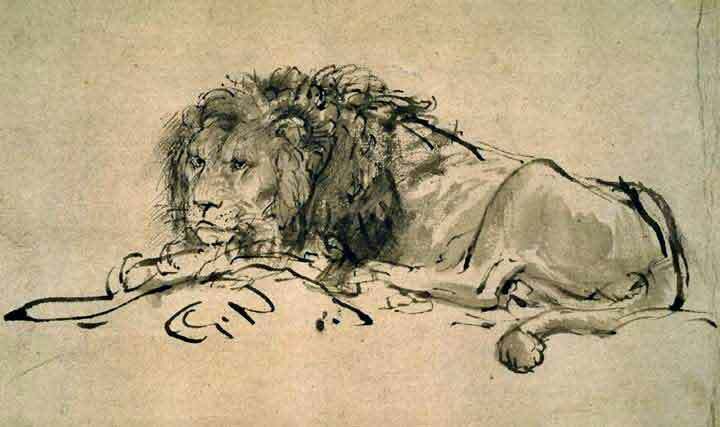 There are several Rembrandt drawings of lions and this one is among the most beautiful.